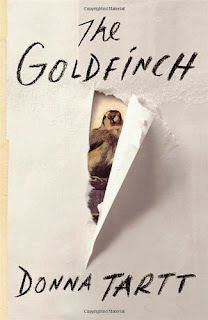 I confess I was nervous about reading Donna Tartt's third novel, The Goldfinch. So much so that I put it off as long as possible. I'd loved The Secret History with a passion, missing tube stops and narrowly avoiding an altercation with a lamp-post. Ten years later, when Little Friend arrived I devoured it. Or tried to... Unfortunately it was more like a pudding you'd been looking forward to for so long that by the time I got to it, it was a bit, well, stodgy. And so, I hedged around The Goldfinch for weeks, engaging in a complicated dance, putting it down, picking it up, lured eventually by the prologue, set in Amsterdam some fourteen years after the death of our hero Theodore Decker's mother. Luckily, The Goldfinch is far more The Secret History than Little Friend, if anything, better. From the thriller-like prologue to the barren deserts of Las Vegas to the Dickensian setting of Tartt's very own Manhattan-based Old Curiosity Shop, The Goldfinch establishes Tartt as a storyteller in the grand tradition. Plus it's way better company than whichever random relative you have to spend Christmas with. Back in the spring I received a copy of a really ugly proof. It had the kind of lazy, illustrated cover that screamed recycling. 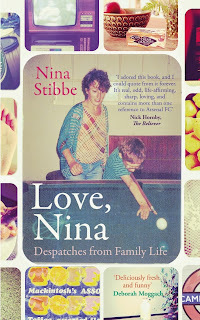 Stuck on the front was a post-it note from the book's publicist saying, roughly, 'I think you will love this book, please ignore this bloody horrible cover, the actual book will have a lovely one.' For some reason, I did and was rewarded with the wryest, funniest read of the year. By now you will probably have read a lot about Love Nina, the letters of a young nanny from Leicester who finds herself in the midst of 80s North London literati. If you're old enough to remember them, think Jill Tweedie's wonderful Letters from a Fainthearted Feminist with a liberal dose of Just Seventeen and you won't be far wrong. I've got a not-so-secret fetish for crime novels - not one I got to indulge as often as I'd have liked this year. But amongst those I have devoured and adored - Rankin, Mina, Hayder and Nesbo to name just a few - one stood out. In amongst the sea of Gone Girl-alikes that splattered the bookshelves of summer, it would have been easy to lose sight of this seemingly quiet little story. But The Silent Wife turned out to be so much more than a tale of two unpleasant people in an ugly marriage (although it definitely is that). Skilfully written, beautifully told, and far more subtle than I've made it sound it takes some talent to tell your audience on the first page that one character will kill the other and keep them turning to the very end to find out why. 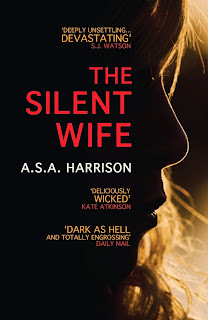 The only pity is that ASA Harrison died in the spring, never getting to see her sleeper hit inveigle its way into the New York Times bestseller lists. 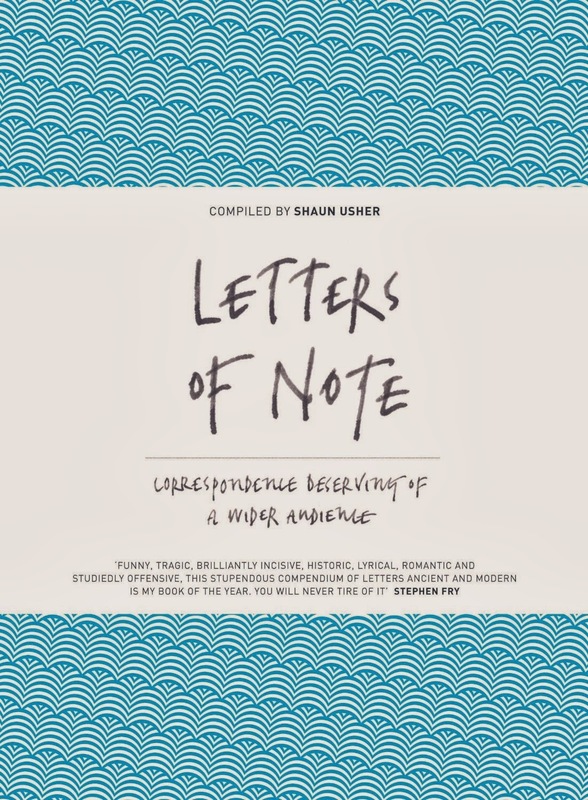 The genius of Shaun Usher's wonderful blog, www.lettersofnote.com, is in its simplicity. If you are yet to discover it, I am deeply jealous. You know when you discover a new author and find they have a hidden treasure trove of backlist for you to explore? That, only better. Prepare to lose hours exploring the letters of the great, the good and the gruesome historic figures. This, the book of the website, if you like, brings together Usher's edit of some of the most witty, poignant, intimate and occasionally out and out offensive - from Zelda Fitzgerald to Iggy Pop by way of Winston Churchill and Katharine Hepburn. 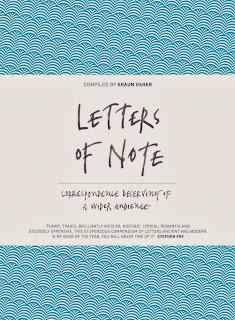 A love letter to letter writing, this deserves to be this Christmas' runaway bestseller. Maybe one day someone will do the same with emails or tweets but somehow I just don't think it will have the same appeal. You thought the 50s was all Betty Draper and tea on the table at six o'clock, didn't you? So did I, until I read this unexpected and engaging collection from journalist Rachel Cooke. 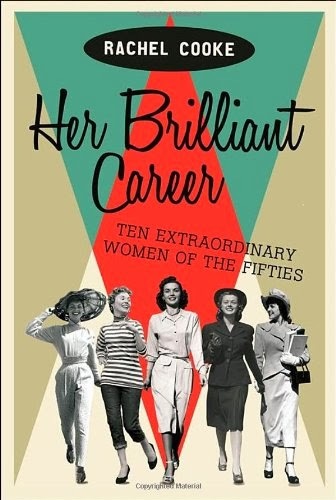 Meet QC Rose Helibron, journalist Nancy Spain, plantswoman Margery Fish and the seven other pioneering women who turned their respective professions on their head during the decade that progress forgot. Inspiring, informative - and frankly a bit of a wake up call (stop moaning and get yourself on a coding course), if these women don't motivate you to get off the sofa and get going then nothing will.